The concretion of the universalist suggestion of Torres García requires a new art that contains philosophical and aesthetic thoughts of constructivism but giving upward thrust to the archetypes of pre-Hispanic cultures. It is a synthesis of the contemporary with the prehistoric. The goal is to return to the important aspects of constructive art and the pre-Columbian American arts, including the feel of universality, the geometrization of forms, the sustained rhythms of stone partitions, the harmonious integration that exists between monuments and the encircling environment. expressive opportunities that are constrained through the use of the easel. The concept of Torres García plasma archetypal symbols that act at the subconscious of the observer seeking to exchange their future. These symbols could be perceived with greater intensity because the viewer sheds their inhibitions. He considers that the artist possesses non-secular attributes, and attempts to contain the observer in the universe of serenity. It is a mystical energy of convocation, which serves as a subliminal message of the collective subconscious. Do you want to learn Spanish? 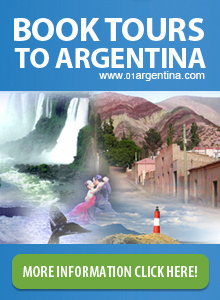 Go to spanish school in Uruguay and check our courses. Too intensive spanish courses. More than 14 years of experience.